No matter your level of support for or interest in the issue of diversity in the boardroom, no one would disagree that it is a ‘hot topic’ in corporate governance circles and corner offices around the globe. Diversity in the boardroom can mean many things. When I started recruiting corporate directors in the United States about 18 years ago, diversity most often referred to ethnic diversity. Specifically there were efforts of various magnitudes to increase the representation of African Americans and Hispanics on boards. Diversity then expanded to include other ethnicities generally depending on where the company in question was doing business or had hopes to do so. Let’s pause here to reiterate: gender diversity in the boardroom has been determined to improve financial performance. It also improves innovation and motivation. Women lower down in the organisation not only perceive an avenue to the top but often the glass ceiling does give way in those companies with females in their boardroom. Diversity has also been demonstrated to lead to better decision-making, a core responsibility of boards. Countries around the world have been taking notice, beginning with Norway instituting a boardroom quota in 2003; other countries have since followed suit. It might surprise you to know that countries as diverse as Iceland, the United Arab Emirates and Malaysia all have quotas to increase the representation of women on boards. The numbers and consequences for non-compliance may be different but the overriding goal is the same: expanding female presence on corporate boards. Despite the hype, conversation and endless publicity, headway into the boardroom by qualified women has been sluggish. In the US, women hold 19.2 per cent of the board seats in the S&P 500. According to Catalyst, this is about the same as it was last year. In the UK, the last recorded number is slightly better with 23.5 per cent of boards’ seats in the FTSE100 held by women. Surely, quotas cannot be the only way to improve gender representation in these hallowed quarters? Furthermore, some countries, such as the US, philosophically simply don’t believe in quotas. As such, here are some alternatives and a roadmap to implement the change that we all lament about. Attitude first Each time I write or speak about this topic I encounter extreme opinions and emotions. From time to time there is also opposition. People tend to feel very strongly about the benefits as well as the costs of bringing more women into the boardroom. Thus, in order to achieve any meaningful improvement, we must first begin with an attitude adjustment. It appears that many believe that those advocating on behalf of improving gender diversity in the boardroom are suggesting that any female becomes a board director. This is absolutely not the case. It should be very clear that gender diversity in the boardroom is not a handout. Nor should it be warranted for anyone but the most accomplished and qualified. We also need to be mindful of the fact that the real obstacle to change is demand rather than supply. There is a lingering perception that there is a dearth of qualified women who can assume director roles. In fact, the opposite is true. There is an abundance of executive level women who are not only qualified to take on director positions but have invested in education and training in order to better understand the role and its requirements. Finally, while on the subject of attitude, let’s be clear that no one is suggesting that women be selected over men just because they are women. Rather, when there are qualified candidates of both genders, the men should not be selected simply because they are men. 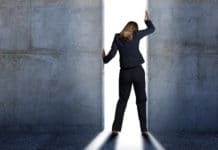 It all begins with career success Continuing with the idea that it is only the most senior and qualified who belong in the boardroom (whether a man or a woman), it is critical to look at the pipeline. There must continue to be an ample supply of accomplished women. No one can dispute a board appointing a superstar CEO who has exponentially grown her company or a CFO who has raised equity or restructured debt. The fact that the candidate is a woman becomes incidental. The point is, preceding the board director role should be a solid track record of success and accomplishment in one’s chosen career. Mentioned above are but two examples of the types of qualifications that lend themselves to board service. There are, of course, many more. Operators are always in demand. All boards want and need a CEO or someone who has had profit and loss (P&L) responsibility. The ability to see and understand a business in its entirety is fundamental board work. Financial skills are also indispensable. Preference is typically for a CFO or retired audit partner but other backgrounds can be suitable as well. Marketing and/or social media expertise is valuable as is international experience for those companies with operations outside their home country. Being a chief information or chief technology officer is also a very sought-after skill. One can argue that every company is a technology company these days and the concern with cyber security is considerable. This represents a sample and not an exhaustive list of the skills that lend themselves to becoming a board director. Bottom line, the best way into the boardroom is for women to focus on their careers. Sounds like glib advice but it is indeed the bedrock if we are to have more gender diverse boardrooms. Come out of the shadows It is one thing to have a stellar career, but to become a board director you need to be found. For the uninitiated this may sound strange but the fact is that about half of board appointments come about as a result of knowing someone on the board, in the company or who is a trusted advisor or investor. The other half come through the work of executive recruiters. Either way, to participate in the process you need some visibility. This comes naturally to high-profile public company CEOs, but what about the rest of us? A mentor or sponsor who is accomplished, senior in his or her career and well-connected can be extremely helpful. Having a personal and long-standing relationship with this influencer can yield not only guidance but introductions to those in a position to make board selection decisions. Another element to take seriously is your own renown and acclaim. You must be seen as an expert, thought leader and highly accomplished in your field or industry or profession. The good news is that in our 24/7 online, content-dependent world it has never been easier to publicise oneself. This can and should include but should not be limited to public speaking at appropriate conferences and seminars and writing either a blog or even better, articles for relevant publications. Term limits Any discussion on how to boost gender diversity in the boardroom would not be complete without an examination of what I am calling ‘The macro considerations’. Chief among these is the issue of term limits. Term limits are important because in order to improve diversity in the board room there must actually be turnover of directors. The United States does not have any universal regulation or laws that specify board term limits. 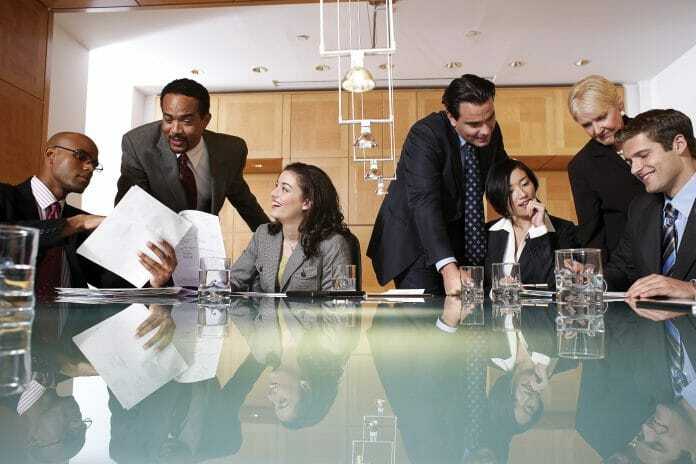 This is left to individual companies who sporadically specify some retirement age in their bylaws although they can and are often overruled by the board. In a recent New York Times article it was reported that the average age of directors in S&P 500 companies has risen to 63.1 this year from 60 in 1998. Remember, this is average age. State Street Global Advisors did a study of 2013 data and found that average board tenure in the US is 8.6 years. Compare this to the UK with an average director tenure of 6.4 years and Norway where the average if 5.1 years. This is a delicate topic and there is no right answer as to how old is too old to be on a board and how long is enough. This will always involve a trade-off between experience, wisdom and insight versus fresh ideas and an independent perspective. What is important to remember, however, is that with this freedom and flexibility comes the obligation of boards to evaluate themselves vis a vis the tenure and continued contributions and independence of their directors. It is incumbent on boards to use their infrequent opportunities to add a new director wisely and with an eye to improving diversity. Enhancing board diversity cannot be accomplished without board refreshment. Board refreshment goes hand-in-hand with term limits and director tenure and is also all the rage these days. Forward-thinking, strategic boards have always been cognisant of the need to periodically refresh themselves. The rest are catching up. As your company is ever-evolving so should the skills necessary on the board. 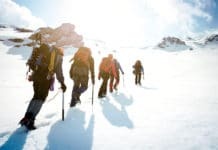 When board refreshment is embedded in the culture of the company, the board has the opportunity to regularly and strategically add new skills and experience. Overlaid in this process can be a partiality towards diversity when appropriate. Board refreshment can also be considered in the context of board succession planning. Overall succession planning for CEOs and other senior executives tends to be more occasional than it should. This is even more the case for boards. Have you ever known or been part of a board that planned for its future directors? I have seen this on occasion and it proceeds as follows. The board looks at their current composition and enumerates the skills and experiences that presently exist. They assess gaps based on company strategy and goals. This results in a ‘wish-list’ that guides a proactive process of identification of new board candidates (usually before a seat is actually available). The idea is that the activity of board director identification takes place prior to the actual need. This allows for a more robust and optimised process. Furthermore, for those that feel there is a lack of qualified female board candidates, it provides ample and unencumbered time to find and comfortably evaluate them. Boards of directors at the most strategic level, steer the ship that is the company. Board composition is a critical facet in this equation. Diversity of opinions, ideas and experiences enhances the board’s capacity to make decisions, identify challenges and risks and to respond accordingly. Essentially, it betters the ability to do their job. Female participation in this process should be a given, but it is not. Quotas are one way to push more women into the boardroom but for those environments where this is not optimal there are a whole host of alternatives. The blueprint I have provided can help guide the way and is not necessarily meant to be in place of quotas but rather to be complimentary or additional to them. The objective is the same. Patricia Lenkov, heads up Agility Executive Search, a boutique firm she founded in 2008. Prior to this she was Chair of the Executive Search practice at N2Growth. She was a member of the board of director’s practice at Spencer Stuart for four years, and prior to that Patricia spent six and a half years with Heidrick & Struggles where she conducted board and C-level search assignments for Fortune 500 companies. 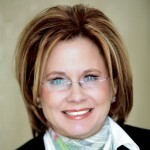 Patricia is widely regarded as a thought leader on board recruiting, corporate governance, composition, and succession. She is well known for her work on board diversity, and sits on the New York Steering Committee of 2020 Women on Boards. Patricia is no stranger to the media often being interviewed for outlets like: Fox Business, Chief Executive Magazine, The Wall Street Journal, Forbes Women, Business Insider, Boardmember.com, Executive Recruiter News, Chicago Tribune, The Globe and Mail, and Money Magazine to name a few. Patricia is on the Family Advisory Council of the Komansky Center for Children’s Health at New York-Presbyterian Hospital Weill Cornell Medical Center and is a former Board Member at Temple Israel of New York City. She is a Parents Association Committee Chair at The Collegiate School. She is on the Board of The Blue Card and sits on the Advisory Board of Halsey Lane Holdings LLC, a financial services company and BoardProspects.com, the world’s largest online boardroom community.